After the first truck collecting road data transmitted via WiFi to the back of two trucks, data transfer takes only 0.1 seconds of time. So they can achieve at the same time accelerate and brake without manual data entry. Of course, the first truck equipped with human drivers need to remain vigilant as drive cars. In the process of testing, spacing between the three unmanned truck about 50 feet, this interval can reduce the fuel consumption of 15% and 10% of carbon dioxide emissions. Efficient fleet of trucks other than is conducive to environmental protection, but also reduce the cost of shipping company. Not only that, this driverless truck driving significantly to occupy space in the process are much smaller than human drivers driving 3 trucks, respectively. 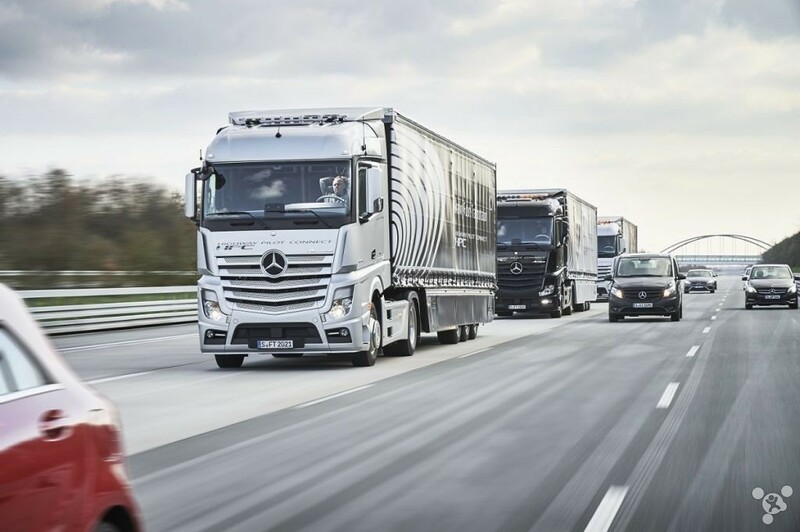 Mercedes-Benz said that such queue driverless truck driving safer on the road.